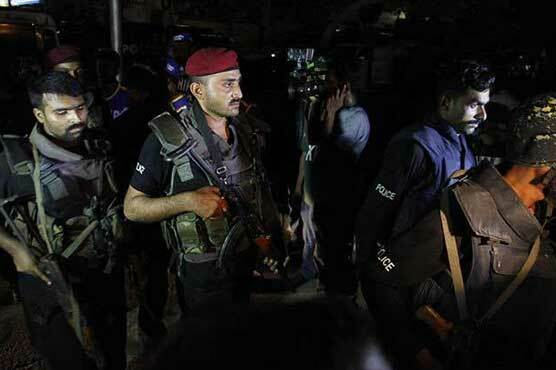 During an operation on intelligence report, the Counter-Terrorism Department detained two alleged terrorists from Jhoke Uttra an area of Dera Ghazi Khan. According to the spokesperson of the Counter-Terrorism Department, the arrested terrorists belonged to a banned outfit and were planning to carry out terrorist attacks on sensitive installations in Dera Ghazi Khan. According to the details, the arrested terrorists were identified as Kashif and Bilal. The Counter-Terrorism Department personnel also recovered three hand grenades and more than one lakh rupees from their possession. The arrested terrorists were shifted to some undisclosed location and further investigation has been initiated.